Jeff Shen is the President and General Manager for Red Team Consulting. Prior to starting Red Team, he held sales leadership positions at GTSI and EyakTek, an Alaskan native firm. He also started his career at CSC and he also worked at a dot com. Fred Diamond: Tell us what you sell today, tell us about Red Team Consulting and tell us what excites you about that. Jeff Shen: Primarily what we do is we sell our company’s expertise in helping companies grow in the federal market. 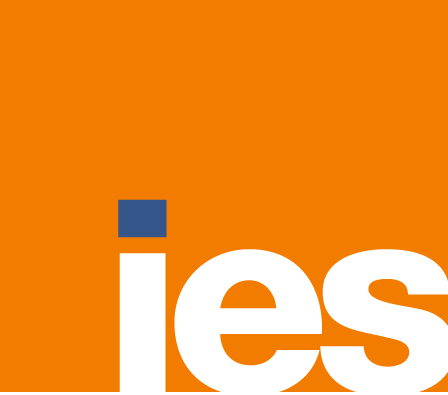 What that involves is capture and proposal development services. The way we look at it, it’s really more than just providing resources. We like to think that we understand the federal procurement process, relationship development and how the government buys and makes decisions and we really base our expertise on those particular areas. We do work with over 150 companies a year, both small and large companies and support over 300 proposal submissions a year as well. Fred Diamond: Jeff, we have listeners to the Sales Game Changers podcast from around the globe and they may not understand some of the uniqueness about the federal government marketplace. Can you summarize what some of the challenges might be for companies as they pursue the federal space? Jeff Shen: The way I’m going to answer this is it’s what makes it exciting in the market that we’re in. Because of the fact that the government is always changing, modernizing and advancing in certain areas, one of the big hurdles in selling to the government market is the fact that you’re really selling to two distinct groups of customers. The first group are the users or the program managers, they’re the people who execute the day to day actions in running our government. Then you’re selling to the procurement and contracting officers and these are folks commonly referred to as “the gate keepers”. They’re the contracting officers, contracting specialists who compete and award contracts so for those who sell to the government, you really need to market and influence both sides of those relationships. Fred Diamond: We’ve had a bunch of people who sell and lead federal teams, selling to the federal government place. There’s laws that you need to follow to be successful. Of course, you want to get the customer to use your technology, your product, your service to enable their mission but there are laws. The Federal Acquisition Regulations – you must be an expert on that. Jeff Shen: It’s only a thousand pages, something like that. Fred Diamond: [Laughs] so how did you first get into sales as a career? Jeff Shen: It was really by accident. By background, I have a degree and some training in information technology so I actually started off at CSC as a developer. I coded in COBOL, JCL mainframes and then when the dot com boom came around, I coded in different web languages. To be honest, I was absolutely terrible in coding. Then I thought I would transition over to become a program manager and realized that all the projects I was managing were not meeting deadlines. By default, I realized that I had more of a strength in building relationships even on those projects that I didn’t necessarily deliver on time, I was still building business with these customers because I was able to establish a sense of trust and I was able to find the right people to deliver the work. From there, I transitioned into sales for those companies that I work with and also jumping into doing sales proposals when the need arose. That was how I first stumbled into sales. Fred Diamond: What are some of the things that you remember, what are some of the key lessons you learned when you shifted from being a developer to a program manager and now you’re carrying a bag, carrying a quota? Jeff Shen: It was quite a transition. What I learned was you have to be patient and you have to be persistent. Patient in that you’re not going to convince customers to sign you right away, you have to build the relationship first to establish that trust and you have to be persistent. I’m not just saying not taking no for an answer, but understanding that customers are busy. Whoever you are selling to, they are busy and sometimes you might fall off the radar. It is your job to follow up to make sure that they remember to get back to you on whatever you’re trying to position. You get used to the no’s, you get used to the ignored phone calls and emails and you just continue to be persistent. I would say one of the other ways or key lessons that I learned is that there’s not one way to sell. You have to adjust how you position your product or service to the customer you’re selling to, taking that time to understand what’s important to them and building that relationship. That’s where it’s paid off over the years in what I’ve learned. Fred Diamond: Obviously, you founded and now you’re running Red Team Consulting. It’s a company that helps people selling to the government go through some of the procedural things that they need to do. Tell us what you’re an expert in, tell us about your specific area of brilliance. Jeff Shen: I love that question because I don’t necessarily consider myself brilliant in anything and I think my kids would vouch for that as well. If you were to ask me even 20 years ago what I wanted to do or where I would envision myself, one of them would not be to run a proposal consulting company, to be honest. It’s a necessary step in the entire federal business development life cycle, but I never envisioned myself being in this sort of position. That being said, if I were to ask myself what I consider myself an expert in, I would really say two things: I do consider myself very strong in developing partnerships with people, and trying to understand how to build a relationship with someone, what’s important to them. I would couple that with my second area is that I feel that I have the ability to get along with anyone, whether you are a college grad, 21, fresh out of school or you’ve been in the industry for over 50 years. Whether you’re a CEO of a Fortune 100 company or an IT developer who is in the back room coding, I feel like I have that ability to establish some common ground with that person and to build that relationship. Fred Diamond: Is that important in selling to the government, relationships? Help us understand, for the people listening to the podcast around the globe. Again, you mainly help companies get successful in selling to the federal government place. Are relationships important in that marketplace? Jeff Shen: They are as important as you might imagine even in the commercial market as it is in the federal market. I would classify it as an unspoken truth that the government wants you to abide by the rules and regulations that they’ve established and making sure that when they compete a contract it’s fair, it’s ethical and it abides by those regulations. Buying in general is human nature, it’s subjective and people are going to develop preferences for technologies, for tools, for working with certain companies, certain solutions. It is your job as a salesperson to make that influence positive for that customer. They still have to abide by the rules and regulations, but if you do a good job you will have influenced their evaluation process. Fred Diamond: You made the shift from developer to program manager to sales in the early part of your career, you worked at GTSI and for the people listening on today’s Sales Game Changers podcast, GTSI was one of the primary resellers of products to the government for 30 somewhat years, probably the largest at its height. You must have had some impactful mentors along the way who helped you make the shift, again from developer, program manager to sales. Why don’t you tell us about an impactful sales career mentor and how they impacted your career? Jeff Shen: If I may, Fred, I might want to mention more than one, a few different people that have really had an impact in my career in sales. When I look at mentorship, I really look at specific people and what they lend, not necessarily that a mentor can provide everything. To give you a couple of examples, one of my first mentors was when I worked at CSC. His name is Brad Stein, he’s in federal contracting now and Brad was one of my first managers on the delivery side. He taught me a lot about sales, consulting, client management and how to level said expectations with customers. Another mentor that I had was during the dot com days and his name was Bruce Claybrook. He taught me a lot about relationship development and partnership, and how those partnerships can help you to achieve the sales targets so you’re not just selling on your own. The final person I want to mention is someone by the name of Jim Dunn who unfortunately is no longer with us, but he taught me a lot about sales management and leadership, and really how to inspire a team to succeed. I’ve picked at different things from each of these different mentors to help me with my career. Fred Diamond: You must have worked with hundreds of companies with Red Team Consulting. For the people listening to the Sales Game Changers podcast, understanding the process that you help companies with is critical to having any success in the federal marketplace. Do people come to you looking for advice and mentorship as well and being successful in the marketplace? Jeff Shen: All the time. It’s something that we will either do formally for companies or individuals or even informally when they have a specific sales challenge or their companies remain flat over the last several years. What is it that they could be doing better? What do we feel like is their main challenge and how do we help them overcome it? We really have that benefit – that privilege, I would say – of working with all of these different sales leaders and getting to understand them, their customers, their employees. That’s what has energized me over the years, is getting to work in all these different environments with all these different folks. Fred Diamond: Jeff, you’ve worked with tons of sales leaders, what are two of the biggest sales challenges you face today as a sales leader? Jeff Shen: There are two and I’m going to preface this answer with the fact that not just me, but we see this in our clients all the time as well. The first one might sound strange, but it’s convincing people not to sell. The #1 challenge is trying to convince people not to sell. I think people are overly eager to position their product, talk about their service, tell why their particular solution is the best solution for a particular customer without taking the time to really understand what is the customer trying to achieve, what are their objectives, what are their goals, what are their pain points and then customizing that particular solution approach around that. We see this all the time, we’re guilty of it, our clients are sometimes guilty of it and they end up just wanting to pitch something rather than listen. The second is how do we continue to grow and differentiate in a crowded market? 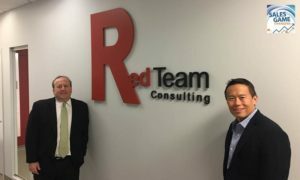 Red Team Consulting is not the only company in our industry that does what we do and I would say the same thing with all of our clients that are going after IT contracts, engineering contracts, aerospace contracts. We need to do a better job of continually assessing the direction of where our clients are going, and try and apply that right level of expertise because we want to grow like everyone else. We want to grow smart but also find a way to differentiate what we offer compared to our competitors. Fred Diamond: I want to go back to the first challenge just to make sure that our audience is clear in what you’re saying. You said, “Convincing people not to sell.” I guess basically what you’re saying is don’t just get a meeting – you’re thrilled to get a meeting, obviously. Everybody wants to meet with the customer and you’re excited, you want to get there and you want to show up and throw up, as we hear people say, and just start listing the features and benefits and the things that you offer. Basically what you’re saying is the act of restraining yourself and going in as more of a solution provider or as a consultant. Listen to the customer, help understand what their challenges are. It’s interesting, through the Sales Game Changers podcast there have been so many themes that we’ve heard over the 150 somewhat interviews that we’ve done and one of them has been the ability to be a better listener as a key differentiator with a lot of the key top sales people that we’re talking to for the podcast. That’s something you mentioned at the end of that description, so how do you do that? Jeff Shen, how have you been successful at not showing up and, “Hey, customer, prospect, here’s the list of the 5 things that Red Team Consulting can do.” What are some things you’ve done to be more effective at not getting yourself trapped into that? Jeff Shen: To answer that question in regards to listening, I would like to say that I feel like I’m a very good listener but the area in which I feel like I’m improving and I would say to people in general is that I need to be a better active listener. What I mean by that is obviously you’re asking questions to the customer to understand their challenges and pain points, but I think people tend to have a thought process of, “If I ask this question, I’m going to get ready to ask another question or I’m going to say something else” without actually listening to what they’re trying to explain. It’s one of those things that people and companies need to be better active listeners to truly get to the heart of what is driving this customer’s decision or thought process, or how they might buy. Then be thoughtful in terms of whatever they say, follow it up with something that makes sense. Fred Diamond: That’s so powerful, you said people are asking questions because they’re asking a question to be ready for the next question or leading questioning, so to speak. A lot of the Sales Game Changers that we’ve interviewed have been very successful in restraining themselves and going in. Of course you want to get sales at the end of the day, that’s why we’re all here but like you said before, you mentioned patience, persistence and partnerships. Eventually you’ll get there if you’re truly providing value and offering things that are going to help the customer achieve their goals. Jeff Shen: Exactly, it’s a practice. If you talk to any of the sales leaders in our market they’ll probably tell you the same thing. No one’s perfect but it takes so much practice to have that sort of patience, persistence. Then listening and making sure you’re following up, it takes a lot of time. It’s not something you can easily perfect, it’s just something you constantly work at. Fred Diamond: Tell us about the #1 specific sales success or win from your career that you’re most proud of. Jeff Shen: I don’t know if this is embarrassing, Fred, but I struggled with this question because when I hear that question I’m trying to think of what is the biggest win. By dollar amount, maybe by impact for the company or for me individually? I really didn’t have one that stood out. If anything, I get more excited by – I would just call it the regular wins. Regular, everyday wins that we either achieve as a company or the wins that we help our clients achieve. There’s not necessarily one in particular that stands out for me personally. I will tell you there’s one that has been impactful for me because of a client win, it’s one of our clients that we’ve been supporting for many years now. It’s a company called Long Term Care Partners which, by the way, also New Hampshire. They are a company that essentially runs a benefits portal for the government, they are an enrollment portal where participants use it for dental and vision insurance. Hundreds and thousands of government employees use their portal. They hired us several years ago to win this incumbent contract. They are a subsidiary of John Hancock, but essentially if they don’t win this contract, they’re not business. They didn’t initially hire us, came back to us, brought us some board, we ran their entire proposal and they’ve won it and re-won it again with our support. You find a lot of joy in helping a company to sustain its business from their support. That’s one example I would give. Fred Diamond: Did you ever question making that move into sales? Was there ever a moment where you thought to yourself down the road, “You know what? It’s just too hard for me, it’s just not for me”? That was obviously a tumultuous time in the markets. During my last company, EyakTek, I questioned whether I had the chops to run a large sales team and we ended up growing from 10 million to 150 million in 3 years. At Red Team Consulting I question whether we can sustain and grow our business because the livelihood of several people that work here rest on our ability to win and deliver. Fortunately, we’re big enough now where I don’t have as many of those daily concerns but it comes up all the time and I feel like that’s OK. I feel like as salespeople we need to have a constant stress or some of that motivation to push you, so I still feel it sometimes. Fred Diamond: Jeff, what’s the most important thing you want to get across to the junior selling professionals listening to today’s podcast around the globe? Jeff Shen: I would say there are a couple of things that stand out for those junior salespeople that want to improve their careers. The first thing is you always have to be willing to learn. I think for a lot of people that have sales as a career, you learn about developing relationships, building rapport and all that but you have to take the time to work with the people that are doing the work in your company. If you’re a software company, do you work or get to know the engineers, software developers? If you’re in a services company, are you working with the billable and operational folks and understanding what they go through day to day? Are you spending time reading and learning every day about your industry and trends? That’s so important and I know you’ve probably heard this before, Fred about the second area where I feel like junior salespeople need to improve. It’s continuing to work harder than your peers. If you are going home every night and opening Netflix and watching the next slate of shows or if on the weekends you are just having a bunch of leisure activities but you’re not checking email, you’re not following up, you’re not doing the next thing on your to-do list, I would argue you’re selling yourself short. You need to continually be learning and working nights, weekends, if you want to get ahead in sales. Jeff Shen: There are a couple of things. To my point earlier in regards to learning, every morning I read at least 10 articles on government contracting trends and I will tell you that they’re not the most exciting articles that are out there but I need to stay ahead and be prepared when those topics come up during discussions with clients. Every morning I’m reading those articles. I also stay in contact with my colleagues in government, I’m taking the time to understand their challenges, their pain points, their projects not only to help our clients but I really want to know what’s on their plate and some of the things that they’re trying to accomplish. It essentially drives what Red Team does day to day, and I listen to my peers all the time, I’m learning from our clients all the time. Even though we’re advising them, I’m getting my nuggets away in terms of what we could do to improve as a company organization as well. Fred Diamond: I’m just curious on that. Your customers, what do they expect from you? Are they experts who are looking for an acceleration of the process or are they looking at you for guidance, expertise on how to be more successful? What is their run the gamut? Jeff Shen: I would say at the end of the day what they’re looking to do is grow. They’re looking to grow in the federal market, so it comes down to how should we best position ourselves? What are the contract opportunities that are out there that we need to target? How can we be better at responding to RFPs? All these different elements that they’re looking for our support and they come to us because of all the things that I’ve mentioned before. We do stay connected with government, we are experts in the federal procurement process and quite frankly I’d like to think that we are more down to earth and pragmatic than a lot of other folks in our space. We don’t help everybody, if we find out that the company has unrealistic expectations or if the company hasn’t done the homework or the upfront capture and we don’t think they’re going to win, then we decline the business. That’s something that we learned over the years, you can’t help everybody win so don’t try and just be upfront and honest because in the long run, they will come back to you because you’ve saved them money from not pursuing a low probability of one contract. Jeff Shen: One of the things that we’ve been working on, I would say, the last couple years but we spent a lot of effort this year is really expanding our training. It’s something that is easier said than done and say, “We want to do more training, we want to offer more targeted train to your clients” but it’s a little bit more difficult in practice when you’re an expert in capture and proposal and pricing but now we actually have to put it on paper. Now we actually have to communicate it in a way where people are excited to come to our training classes on capture and proposal development. It’s allowed me to stay sharp and making sure that rethinking our ideas, “Is this the best way to win business? Is there another way?” Then trying it over and over again until we’ve perfected what is the best way to train our clients in what we do. Fred Diamond: Jeff, sales is hard, we talked about this before. Especially the marketplace that you serve, people don’t return your calls or your emails, hopefully your customers do but government customers, they don’t have to. There’s so many rules that they need to follow, obviously that’s why you have a very successful business. Why have you continued? Again, you made the shift from development into program management into sales. What is it about sales as a career that has kept you going? Jeff Shen: That’s a great question, I will start off by saying you have to understand that rejection is part of the game. Some people will lose motivation or they’ll feel dejected if they’re not closing all the time, not winning new business but rejection is just part of the game and you have to embrace that as a starting point, understanding that no is just part of the process. For me, the reason why I stay in sales is because I love building new relationships and that’s just honest, I love meeting new people. Whether you as a company or client decide to work with Red Team or not is almost to me somewhat irrelevant. If I’ve gotten to know you and you’ve gotten to know me and we become friendly as industry colleagues, what have you, I consider that a win because down the road, these companies or these individuals might introduce us to other ones and say, “That company, Red Team, you could trust those guys.” I love that, two years, three years from now we’ll have a company come to us and say, “We spoke briefly for 10 minutes two years ago but I had such a good conversation that I mentioned you to this other company that wants to hire you.” That to me is exciting and it shows that I’m not overselling, I’m not trying to sell, I’m just trying to build relationships and we’ll see where that goes. Fred Diamond: One term that comes up not infrequently over the course of the Sales Game Changers podcast is trusted advisor. Do you consider yourself to be a trusted advisor? Is that something you’re familiar with and is that a way that you try to position yourself in the firm? Jeff Shen: I would look at myself – yes, that term comes up a lot – as just a trusted person. Honestly, it’s that you can trust me that I will give you the most honest and candid feedback in regards to a contract you’re pursuing, a decision you’re considering, and you can just trust me to be that person to give you that candid advice. When people want advice I will give it but I’m just someone who holds these relationships so closely that I will never try to steer anyone wrong, even if it means not working with Red Team. I’d rather give you the upfront and honest feedback. Fred Diamond: Why don’t you give us one final thought to inspire our listeners today? Jeff Shen: I would say one final thought, and if this is the one thing that you walk away with from this entire discussion, I will consider this a win. I would say look in your network, reach out to your network, it could be LinkedIn or any other means by which you have this network of folks and look up a handful of people that you look up to. They could be outside of your reach, they could be the president of a company, they could be someone in another industry and try to have some one on one discussions with those people. It doesn’t need to be a long term mentorship that you’re looking for, but maybe you have specific questions that you’d want to ask that person. Start having those one on one discussions because they could help you tremendously in your career. It’s something that might sound easier said than done, but it takes the time and commitment to look up that person, reach out to them and sit down with them and say, “I have three questions I want to ask you.” Just like you’re talking to me, Fred, I think there could be a lot of value gained and even long term relationships built that might help that person’s career.